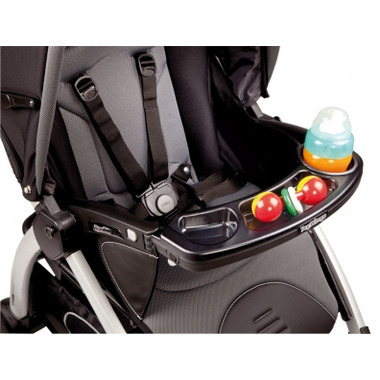 This Peg Perego Book and Book Pop-Up Child's Tray attaches seamlessly to their strollers including the 2014 -15 Duette & Triplette (Atmosphere). It is equipped with an innovative anti-bacterial liner that is snapped into the tray and is dishwasher-safe. With the Book Child's Tray, baby can have easy access to their favourite drink and snacks! I love Peg Perego products! They're a great company that stand behind their product. I needed this tray for our Book stroller. What a great purchase. My baby is happy to have access to her snacks and drinks now. My life just got a pinch easier. I could only purchase from well.ca, babies r us doesn't offer it. Thanks!